The underlying purpose in my flute journey is to encourage and enable more people to hear the instrument's sound and in particular to listen to the tunes of traditional native american songs played on the flute. While many songs have too wide a range to be transposed satisfactorily for the flute, there are many that are suitable. 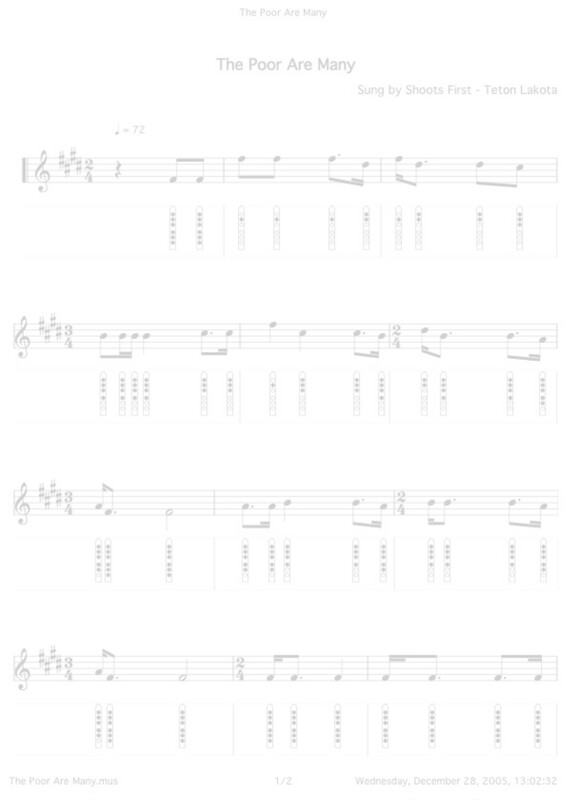 When I find the time, I carry out at a transposition exercise and add the resulting 'score' in Nakai tab to the uguna flutes song book with flute outlines showing finger positions. Every purchaser of one of my flutes receives a a copy of the song book CD - and I also seem to give many away. If you want to buy a song book CD on its own, drop me an e-mail, the cost is ten pounds plus whatever postage is to your address. By the end of 2012 there were over 100 songs in the book, covering all degrees of difficulty from very simple, but nonetheless satisfying, to more taxing. 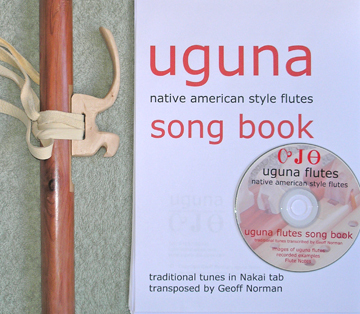 The CD carries numerous images of flutes, plus: the song book in PDF format, the individual scores in PDF format, my flute notes in PDF format, and a computer-generated MP3 file of each of the tunes from the book. In a couple of cases I've recorded the flute part with a simple percussion accompaniment and have also included the drum track by itself as an aid to learning.